Replying to Story Based Comments? I know it seems dumb to ask, but how would you go about that? When I get a comment of someone liking my work I say "Thanks!" For a comment on feedback I explain myself and take the advice. But if I get a comment like "Oh boy! I bet X must've ... haven't they? lol" or "Are they gonna...?" I don't know how to respond. Edit: Thanks everyone! (don't know if anyone will see this). Most of you agree it's a good idea to comment with a maybe or hint. I think I'll go with that! Not a lot you can do but say maybe and grab a thesaurus for future maybes. Or do what I do and joke about. I always just go "we'll see!" or something along those lines. I get it a lot, and I know you said you dont want to ignore but TBH ignoring is the best option to remain as impartial as possible. Or as suggested earlier in the thread, just toss them an upvote! It depends on the comment, but I give a lot of "maybe ;DDD" and things like that. Just a bit silly and light hearted. If its a really interesting comment where they're theorizing about the story, I might just tell them how much I love that they're thinking about it, or how those kinds of comments are my favorites, without confirmation one way or another. I respond to all the things! 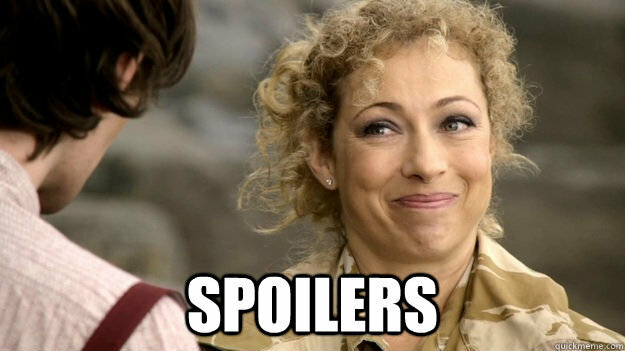 Basically when it goes too close to spoilers I will openly admit that I can't tell them. I sometimes tell them background world info that's not needed or spoilers instead. Sometimes I will go "Well, you'll find out in ____ updates!" (if I know). And I even let them know how excited I am that they responded! Which sometimes starts an excitement loop. "Wow I can't believe I bet..."
"Maybe but I'm really glad you're excited!" "OMG! You responded! BEST DAY!" "OMG You made my day too by commenting!" I.... am not even really exaggerating but I am not quoting directly. Because it's my be true or false. I think the way you should go about it is by merely entertaining their speculations. For example, say "xyz" found some sort of video footage of their distant relative they have to track, tell them that their theories of how they go about it sound plausible . I sometimes will drop worldbuilding details when talking to fans. But when it comes to plot spoilers, it basically comes down to saying, "We'll see..."
I usually say "Stay tuned to fine out" or "Maybe?" I will always respond to anyone who comments so even it's vague, I want them to know that I saw their comment and I appreciate it. Oh yeah I guess it does depend on who is commenting eyes a certain commenter on one of the other sites Some be pushy. I always respond to all of my comments (so far xD). More often than story questions, I've had a fair share of world mechanics and character questions, which I typically don't mind answering (unless it's directly tied to a spoiler). I've had a few story related questions though, which typically get an "I wonder...? " type of non-answer if it's too spoilery. Or sometimes they actually provide questions about things I haven't thought about yet, so I like to verbally ponder those myself in the reply. I think, "Stick around, and you'll see," is a good response to those comments. I like to think that characters exist beyond writers' minds. There is story outside of what I know. Will character X commit thing Y? Who am I to tell, I am simply a messenger. I have comments where people guess where the plot is going. So far they're always wrong so I just either ignore them and let them wait, or I say something to generate hype. I like to tell people "you've got a storm coming!!!!" or something like that. I usually say "I wonder..." or "what an interesting thought"
and occasionally, ususally when someone is asking more than guessing: "Gosh, I really wish I knew." haha.